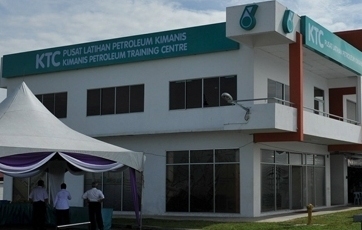 Petronas today renewed its cooperation with 5 skills training institutes to upgrade the standard of technical training to meet requirements of the oil and gas industry in Malaysia, particularly in Sabah. The oil giant signed a memorandum of understanding with the institutes at Menara Petronas in Kota Kinabalu today. The institutes are Kimanis Mara Activity Centre, Kota Kinabalu Industrial Training Institute, Miri Industrial Training Institute, Sabah Foundation College and Papar Industrial and Technical Training Institute. At the same event, Petronas launched its Touch Point Knowledge Programme to pledge its commitment to develop human capital, especially among youths, in the state. Chief Minister Datuk Seri Musa Aman expressed his gratitude to Petronas for its initiative to develop technical and industrial skill among youths in the state. The collaboration in skills and technical training and the launch of the touch point programme would surely yield immense benefits to the youths in the state, he said in his speech read out by Minister in the Chief Minister’s Department Datuk Nasir Tun Sakaran.